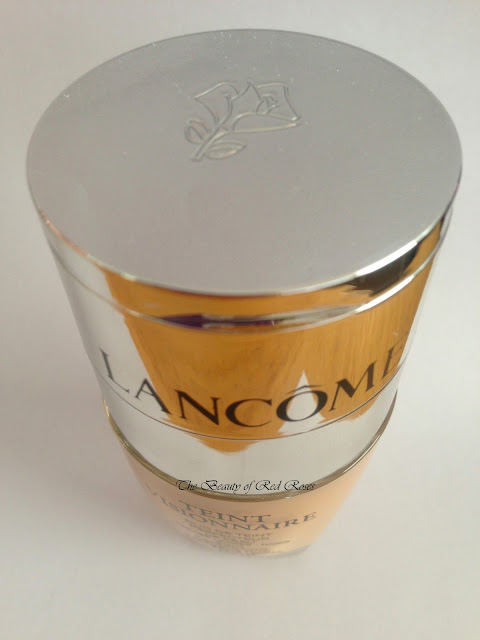 The luxurious turquoise blue bottle containing Lancôme's Visionnaire Advanced Skin Corrector has rocked the world (since it launched about a year ago) thanks to the ingredient LR2414 which helps to reduce the appearance of fine lines/wrinkles and tightens visible pores. Following the success of Visionnaire Advanced Skin Corrector, Lancôme has launched the exciting new Teint Visionnaire Skin Perfecting Makeup Duo (A$65/30ml) which is enriched with the ingredient LR2414 to achieve perfect coverage and a radiant complexion! Lancôme Teint Visionnaire is a two step product which contains a high coverage corrector to address issues associated with dark spots and blemishes and the liquid foundation aims to even skin tone while reducing the appearance of pores and wrinkles to give a smooth natural finish. The concept of combining a high coverage corrector and liquid foundation into one compact bottle is genius! The cap has an in-built mirror which is such a great little addition, so you could touch up during the day! The glass bottle seems quite bulky compared to most other foundation bottles, however, it is not heavy at all considering it is made of glass. The pump is relatively small, so this allows for easy control when dispensing the foundation. My skin tone was matched to shade 01 Beige Albatre which is the lightest 'warm' shade in the range. 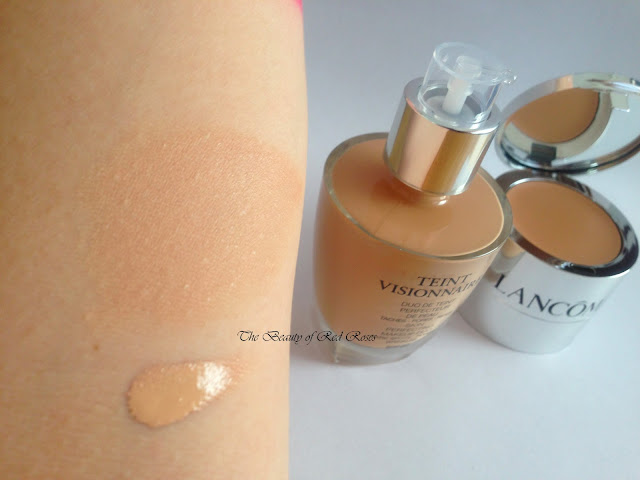 In the past I have used Lancôme Teint Idole in shade 01 which was a perfect match for me, however, I found that range of shades for Teint Visionnaire is just a notch darker in comparison. For reference, my skin tone is equivalent to MAC NC20. Even though the shade 01 Beige Albatre was slightly darker that expected, the foundation actually 'adjusted' to my natural skin tone after carefully blending in small amounts onto my skin. I felt relieved that the shade blended really well and that I didn't end up turning into an oompa loompa! The foundation is thin and runny in consistency, however, it feels featherlight when applied to the skin. I had a feeling that this foundation would result in sheer coverage, however, I was wrong! The coverage was surprisingly medium to full and gave my skin a smooth and natural finish without looking cakey at all! It was very easy to blend the foundation onto my skin, however, I found that I had to pump out the product three times for my full face. The foundation formula also contains SPF20, which is great in terms of protecting the skin from the harmful sun rays. The longevity of Teint Visionnaire is fantastic as there was no fading after about 8 hours of wear. 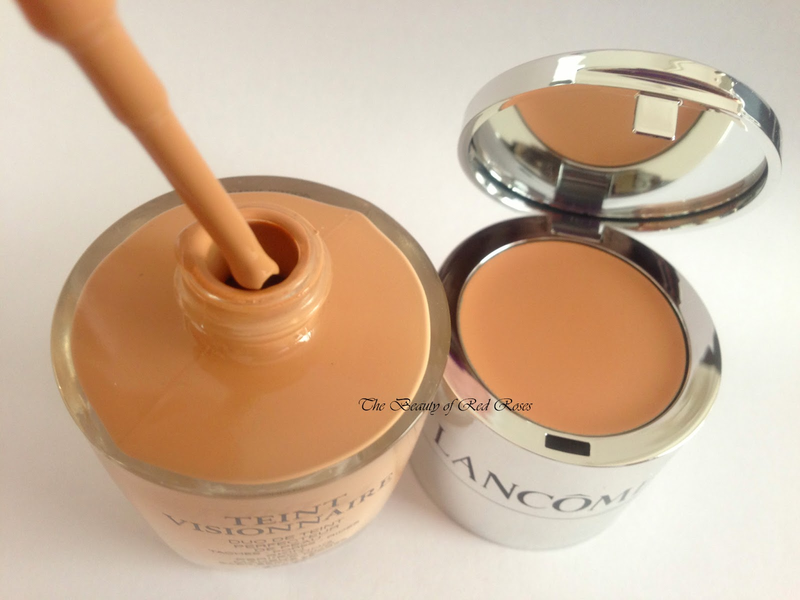 Lancôme advises that the high coverage corrector should be applied before foundation, however, my habits keep me from applying the corrector after foundation to that it stays put. The corrector is quite creamy and once blended onto blemishes and dark under eye circles it doesn't appear caked up or too OTT (over the top). There was once a time when I used a concealer brush to apply concealer, however, as of late I've been using my ring finger to apply concealer as the warmth helps to blend a nice thin layer to effectively conceal spots and imperfections. Swatch of Lancôme Teint Visionnaire. Top-Bottom: blended and not blended. 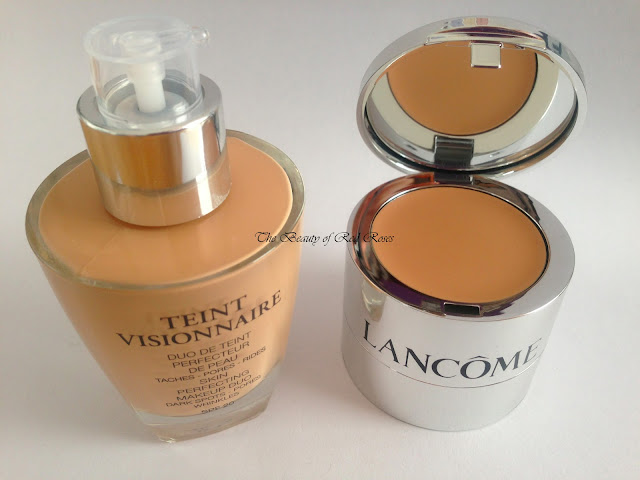 In summary, Lancôme Teint Visionnaire is an excellent makeup duo which allows for giving the complexion a smooth, even and natural flawless look while the concealer helps to conceal imperfections. My complexion appears smooth, flawless, clear from any visible imperfections, pores are no longer visible and also the formula is conveniently long lasting. What more could I ask for?! Have you tried Lancôme Teint Visionnaire and/or Visionnaire Advanced Corrector before? I've seen such fantastic reviews of this, I can't wait to try it out! Thanks for a great review, and some lovely photos to boot! Thank you for your comments MM! 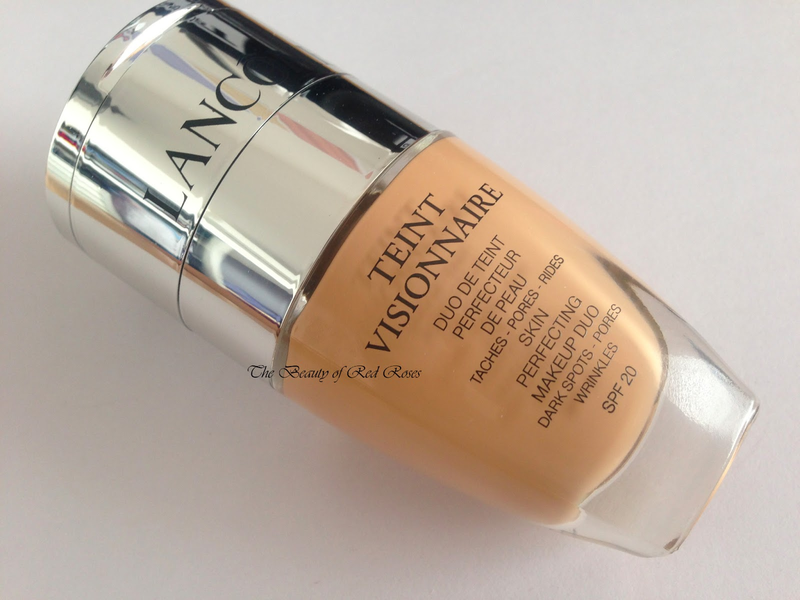 Lancôme has done an amazing job in launching Teint Visionnaire as I believe this foundation would suit nearly all skin types.